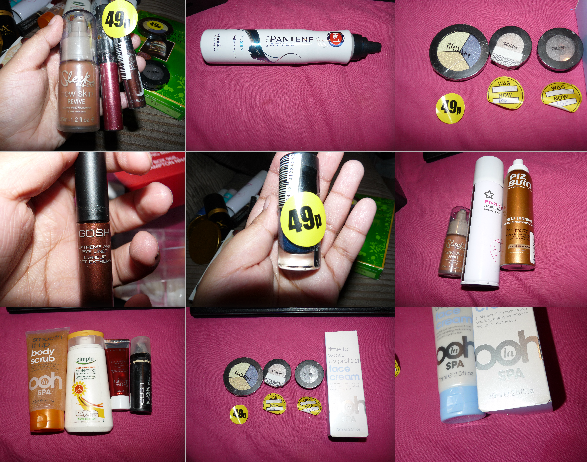 This is my first haul, I'm not even sure what a haul is but all I know is I got ALL of this for under £16 from Superdrug, with many items being 10p, I even got the sun cream for 10p, make-up 49p and less! GET DOWN TO YOUR LOCAL SUPERDRUG NOW! I got so many good items! Piz Buin Fake Tan, Smooth it up body scrub, Simple sun protector, nice'n easy conditioner, sleek foundation, gosh foundation, gosh eye liner, gosh lip gloss, gosh eye shadow x2, lynx, ohh la spa face cream, gosh nail varnish, chocolates, hair mouse, hair spray & body spray x2 and more. 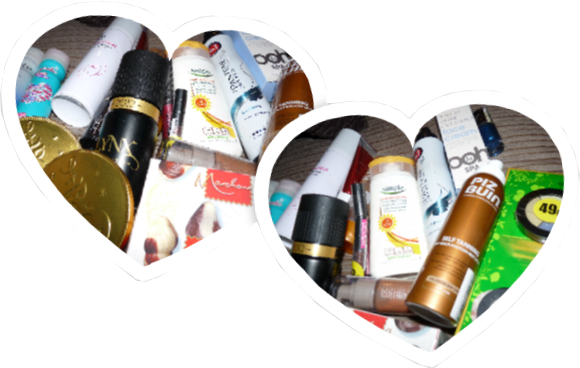 What an amazing beauty haul right? The eye shadows that were 10p had been around the block a few times to say the least but as long as yo have a steady hand who cares? They are only 10! They do have an online sale but it isn't as good as their in store sale, I did go to two stores to get all this, I am lucky I live near two.